Chilly weather calls for chili parties, and this season there is no shortage of chili bowls in my life. It’s the ultimate comfort food in a bowl. I like mine on top of a bed of rice with sour cream and fresh cilantro. Here, I feature yummy bowls made by my friends and family. Angel’s ground chicken chili with squash and beans. A hearty bowl followed by a group crafting session and silliness. Dee’s (that’s my dad!) 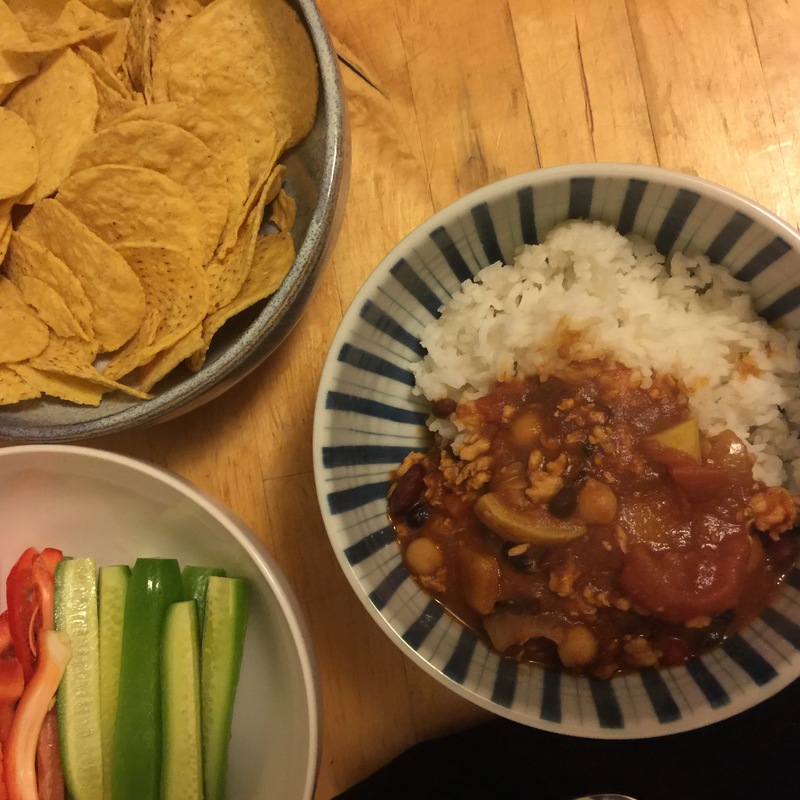 three bean chili with red bells, lighty spiced and accompanied with jokes around the dining table. Brittany’s green chili with chicken. Lots of broth to warm your insides. Add candlelight and Manhattans and we’ve got ourselves a classy dinner party. Yum! Can’t wait until my next bowl. Oh, and in case you were wondering, the pic featured above is of me competing in my first (and actually last) food competition back in 2009: a chili cook off. I won first prize with my Dad’s all-meat chili recipe! What’s your favorite chilly winter night comfort food? Share below. Previous Postgarland challenge part one.